This stunning lead crystal square Blenheim 0.8l spirit decanter gift set could take pride of place in any drinks cabinet. With its elegant diamond and wedge cut pattern it is the perfect gift for a variety of occasions - from an award for corporate recognition or achievement to a wedding, birthday or anniversary gift - and the perfect companion to any other pieces from the Blenheim collection. 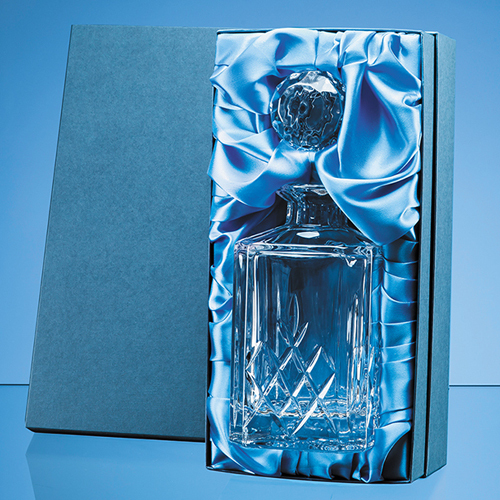 It nestles snugly in a blue satin lined presentation box.